Arguably Ruhlmann's most famous masterpiece. 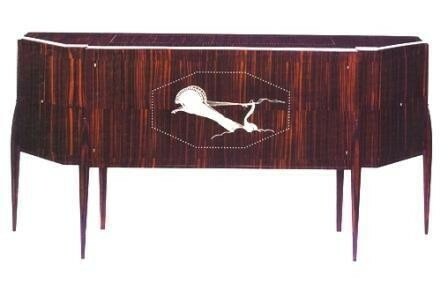 This sideboard features Apollo drawn by horses. The ivory inlay dots on top and the ivory dentils frame the piece.